It’s December and the Holiday’s are in full swing! 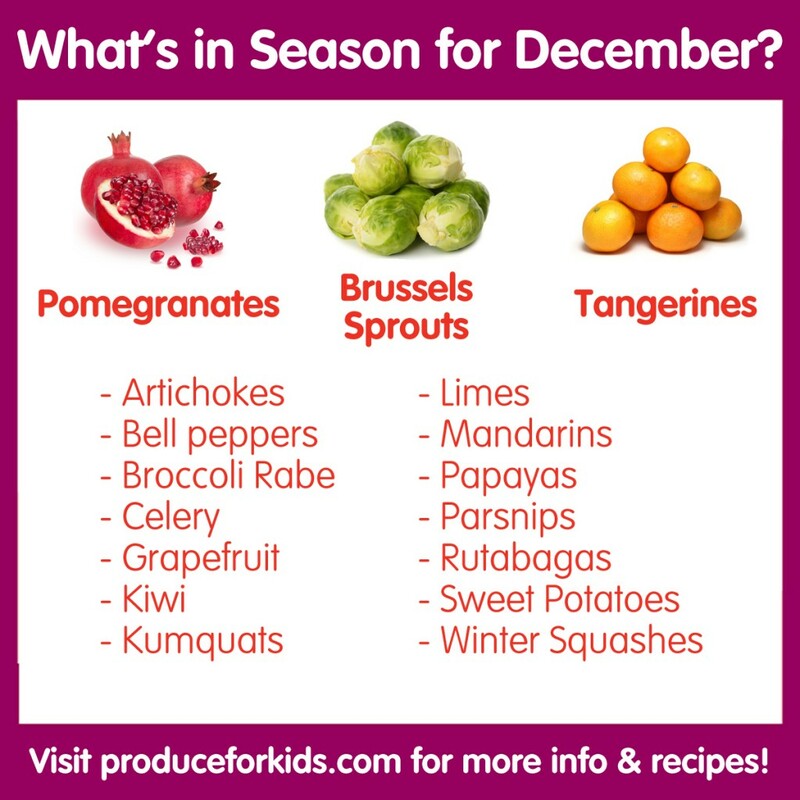 With our schedules getting busier by the second, it’s easy to have a list handy knowing what fruits and veggies are in season. These are the foods that will taste best right now! Seasonal food is significantly more delicious than food grown out of season. Foods that have had the chance to fully, naturally ripen before they’ve been picked will taste how they’re supposed to, delicious! When produce is grown in its proper season, under the appropriate growing conditions, it exhibits all of its natural nutrients. Studies have shown that some crops can have up to three times more nutrients when grown in season. Seasonal fruits and vegetables don’t have to endure as much travel, so they don’t lose those vital nutrients. Print this list out and keep it handy throughout the month. Comments Off on What’s in Season for December?